The people album is an excellent feature on photos app in iOS. But, Do you know how to use it and how to change the key photos for people faces? If no, you are in the right place. 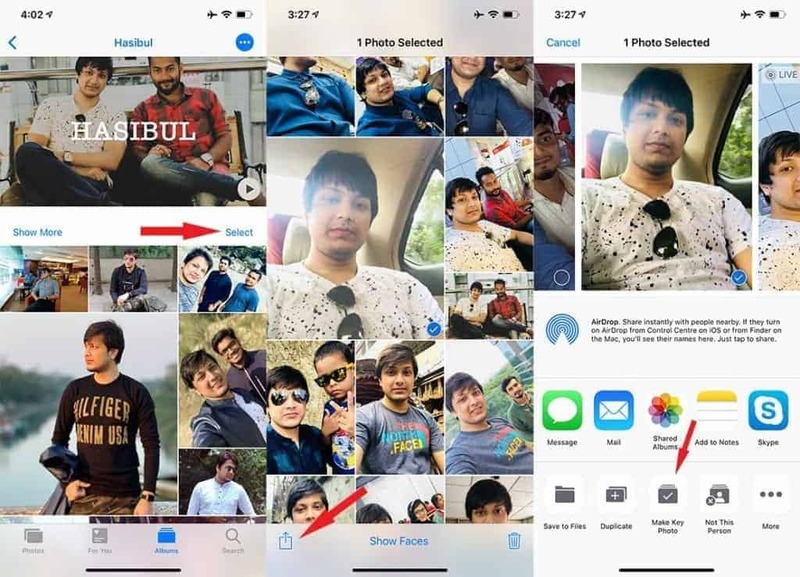 In all popular modern photo apps, people album is a common but very useful feature. 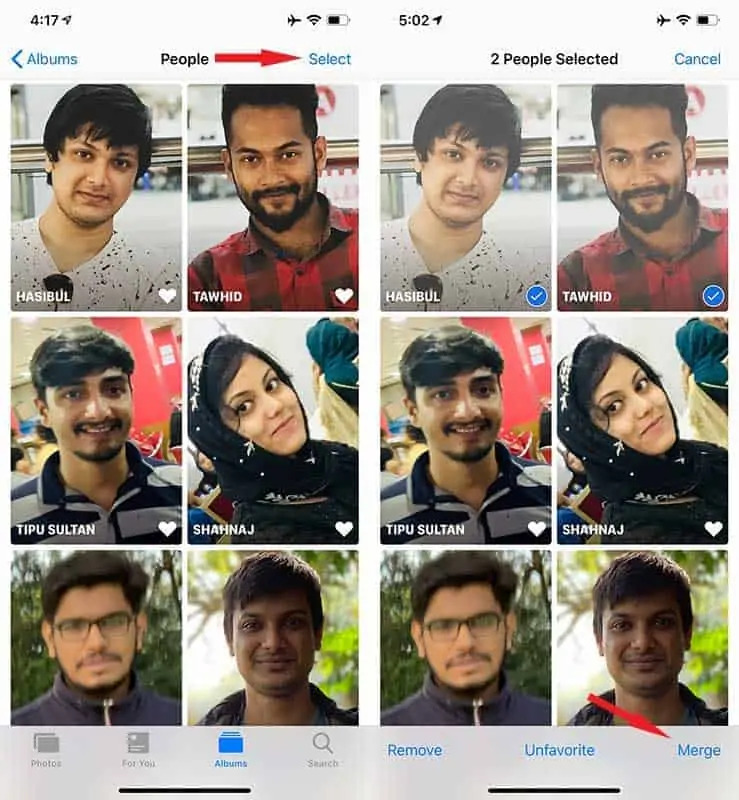 It automatically detects people faces and sync automatically in an album. Especially, In the iOS device like the iPhone and iPad, this feature is very popular. It automatically syncs between your iPhone, iPad, and Mac. If you are not aware of this feature, go through this article. 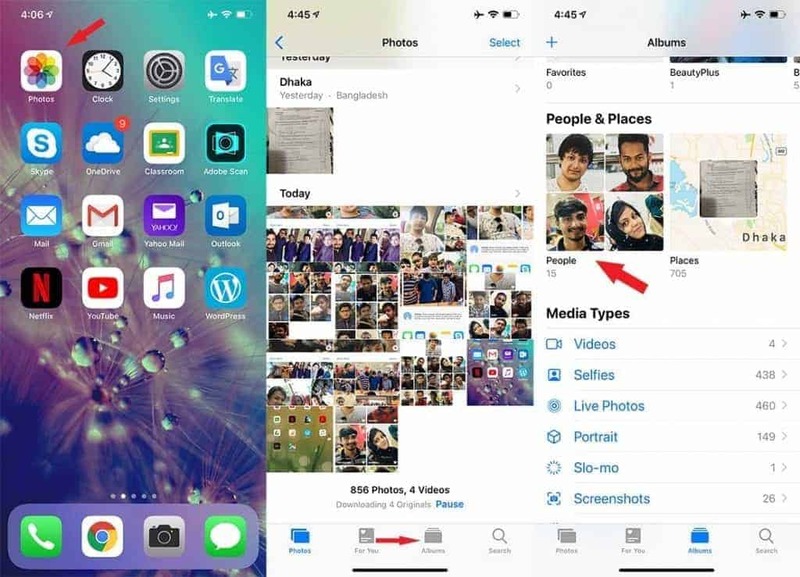 Your iPhone or iPad should automatically create people album. You should find it in the photos app. If not, just connect the charger and lock your phone. Check after a few while. It will automatically scans all photos on your device and create an album for you. Then, You can do following things. You can set names for the people faces. You also can link it to the contacts. To do it, you can follow these things. At first, Open the photos app on iPhone. Then, Go to the people album. Now, Tap on the any profile picture. After that, You will see “Add name” on the top. Just tap on it. Give it a name and tap on done. While typing, it will also suggest names from your contact list. You also can select one from that list. If you want to rename the people faces, you will have to tap on the name instead of Add name. Rest of the procedures are same. 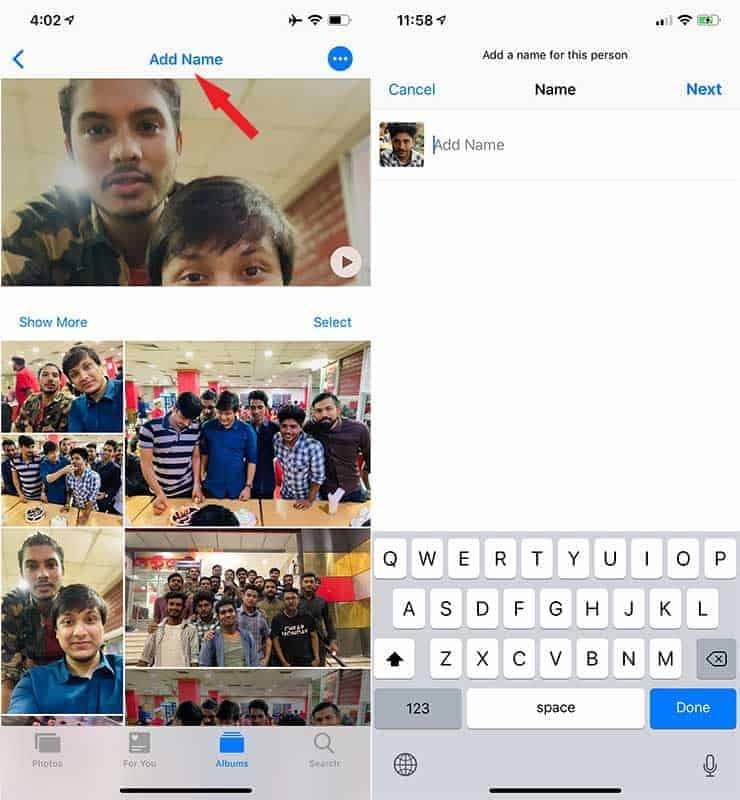 By this way, You can set name or rename people faces on photos app on iOS. The people album is awesome. But, Sometimes it may select an ugly face as the key photo for specific people. It is quite disappointing. But, You can change the key photo or thumbnail or whatever you call it. To do it, You will have to follow these steps. First of all, Go to the photo album on your iPhone or iPad. Then, Go to the people album and tap on the profile you want to change key photo. Now, Tap on select and choose the photo that you want to feature. Tap on the share button and then choose Make Key Photo. By this way, You can change the default thumbnail for specific people in the people album on iPhone and iPad. Sometimes, The AI may create more than one profile for same person. It might have different reasons. But, You can easily fix this problem. Here are the steps, you will have to follow. At first, Go to the people album like before. Now, Tap on select on the top right corner. Then, Select the profiles you want to combine/merge. After that, Tap on Merge. By this way, you can merge multiple profiles into one. You may want to remove any profile entirely from the people album on your iPhone/iPad. In this case, You will have to follow these instructions. You can simple go to the people album. Then, Tap on select and choose specific profiles you want to remove. After that, Tap on Remove. You may find wrong picture on specific profile. Don’t worry. You can fix it by doing these things. At first, Go to the people album. Then, Go to a person’s profile. Now, Tap on select and choose the wrong pictures. You can favorite and un-favorite profiles you want. It is very easy to do. All you will have to do these things. In the people album, You can tap select. Then, Choose one or more profiles and then tap favorite. If you choose already favorite profile, it will show you unfavorite button. Just tap on it if you want. Go to specific profile in people album. Then, On top, you will see play button. Just tap on it. You also can edit slideshow and export as video if you want. Later, You can transfer them to your PC if you want. These are the basics of People Album on photos app in iOS. You can discover many tricks and benefit while using it. Let me know your experience with it in your iPhone/iPad.